Steven Spielberg, in securing the screen rights to the book known as Wikileaks: Inside Julian Assange’s War on Secrecy written by two prominent Guardian journalists is all set to have his studio oversee the productions of the movie. The book has been written as an investigative thriller along the lines of “All the President’s Men” carefully documenting the life of Julian Assange right from his childhood all the way to the creation of the infamous Wikileaks website in 2006. It also meticulously documents the close and secretive relationship between The Guardian and Wikileaks, and their collaboration which is considered by many to be one of the greatest journalistic scoops for a long time to come. Along with this, there is detailed coverage of the leak of almost 250000 secret cables that were released in December 2010. 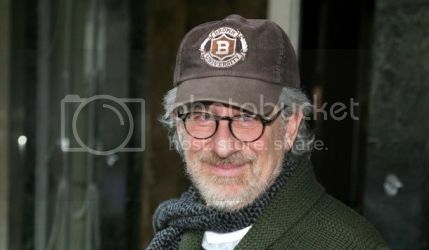 While this project in no doubt undertaken by DreamWorks, Spielberg’s company, there are other projects that are also underway to cover this story in the form of a documentary by Alex Gibney and a biopic that is based on a New York article by Raffi Khatchadourian and that will be co-produced by HBO and the BBC. In comparison to these projects, DreamWorks version seems to be in the initial stages since it requires a screenwriter, a cast and a director. And while Julian Assange fighting with an extradition order to Sweden where he has to deal with sexual abuse allegations, there is little doubt that this movie will raise a lot of eyebrows and get attention from moviegoers everywhere.